Kungsleden. 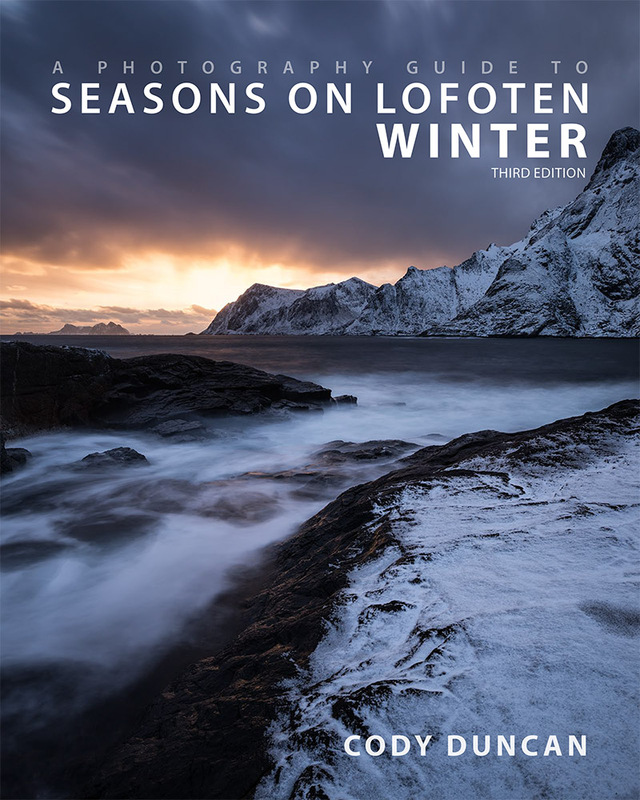 As one of the best known hiking routes of Europe, thousands of visitors make the journey to Sweden each year to experience the remote mountains and valleys along the northern parts of the trail. And yet, outside of Sweden, few people have heard the names of Ammarnäs or Hemavan, Syterskalet or Tärnasjön. Nor the name Vindelfjällen, which rolls off the English tongue like something out of antiquity. 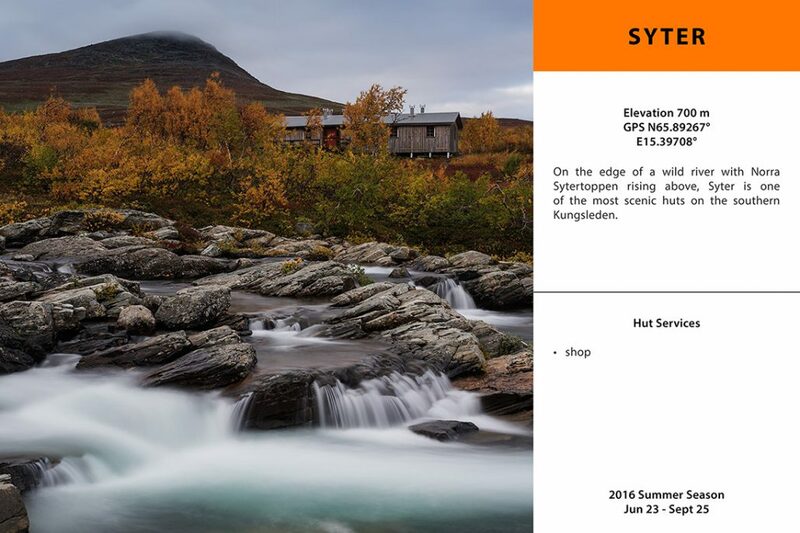 These are the names found along the southern Kungsleden. 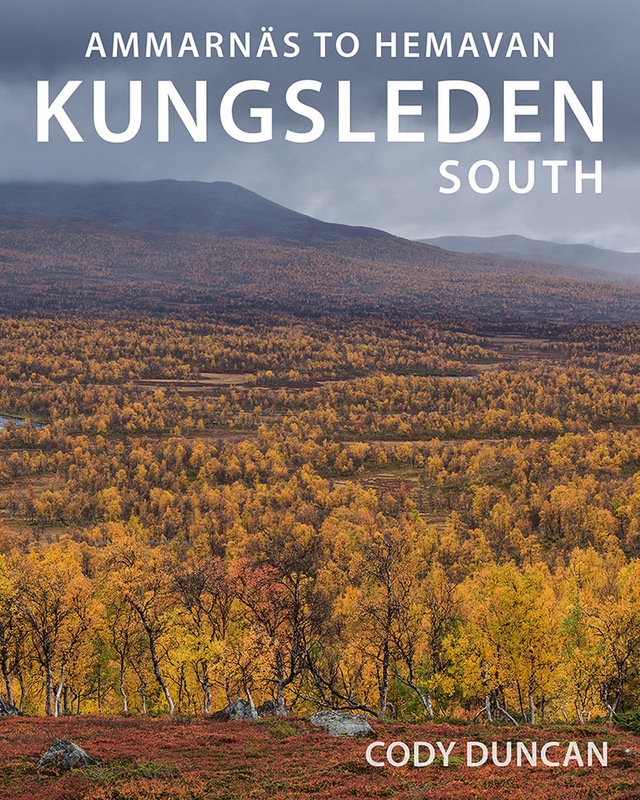 Often overshadowed by the more popular north, the scenery of the southern Kungsleden rivals that found anywhere else along the trail. 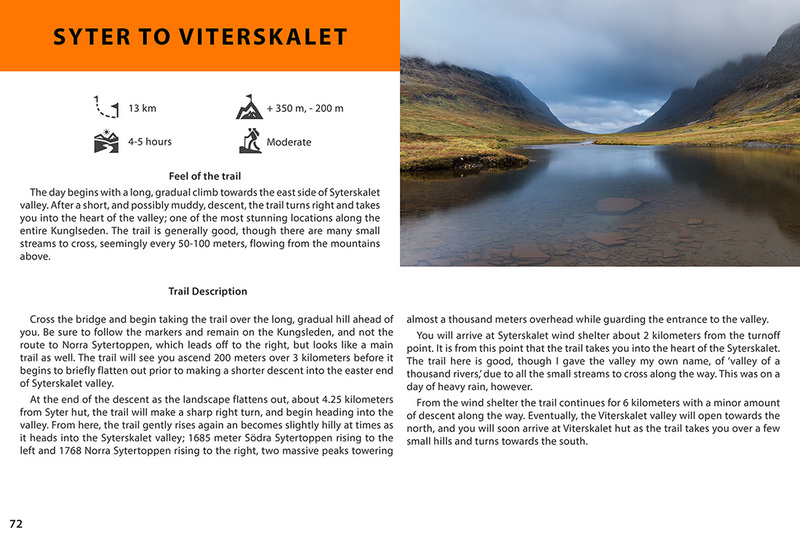 Traversing the heart of the Vindelfjällen nature reserve, one of Europe’s largest protected areas, there is a sublime and wild beauty to be found among the rugged mountains, ancient birch forests, endless rivers, and quiet lakes. I myself am guilty of underestimating this part of Sweden, as I was often drawn by the allure of the arctic circle further north. However, having now walked the narrow trails and lonely mountain passes of the southern Kungsleden, it is one of the places I think most about returning to. Following on the idea of my Kungsleden North book, Kungsleden South is a stand alone guide containing all the information necessary to hike the trail from Ammarnäs to Hemavan, how to get there, and what you’ll need along the way. 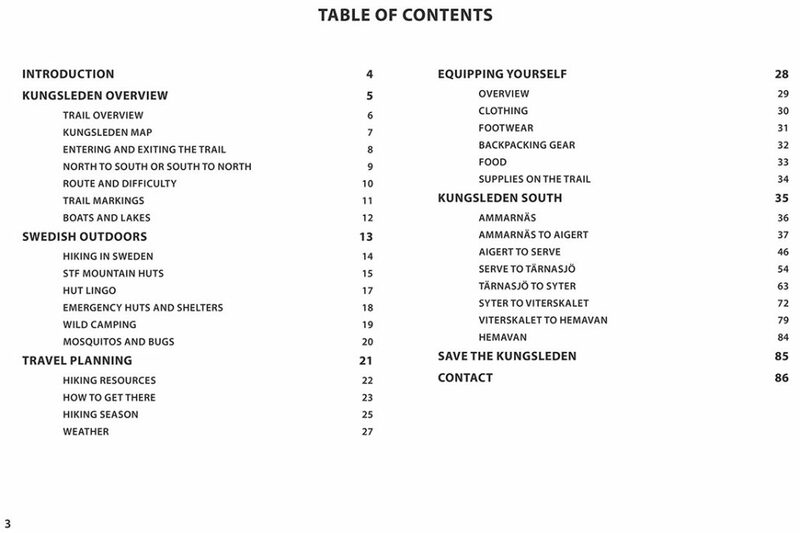 If you are reading this now, then maybe you don’t need any convincing for hiking this part of the Kungsleden or are planning a thru-hike of the entire trail. Yet, if you find yourself here, looking for somewhere to go, give it a shot. You won’t be disappointed. God Tur! 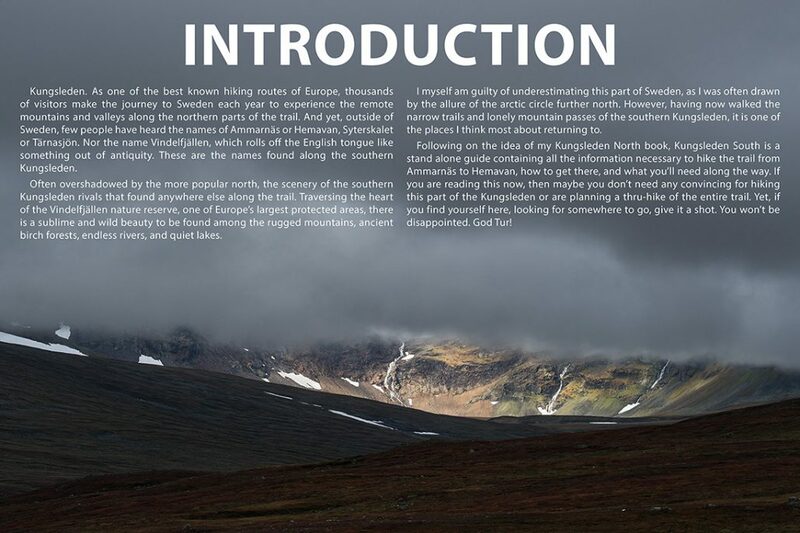 An introduction to the Kungsleden trail as a whole with information about route marking, difficulty, and where the southern section starts and finishes. 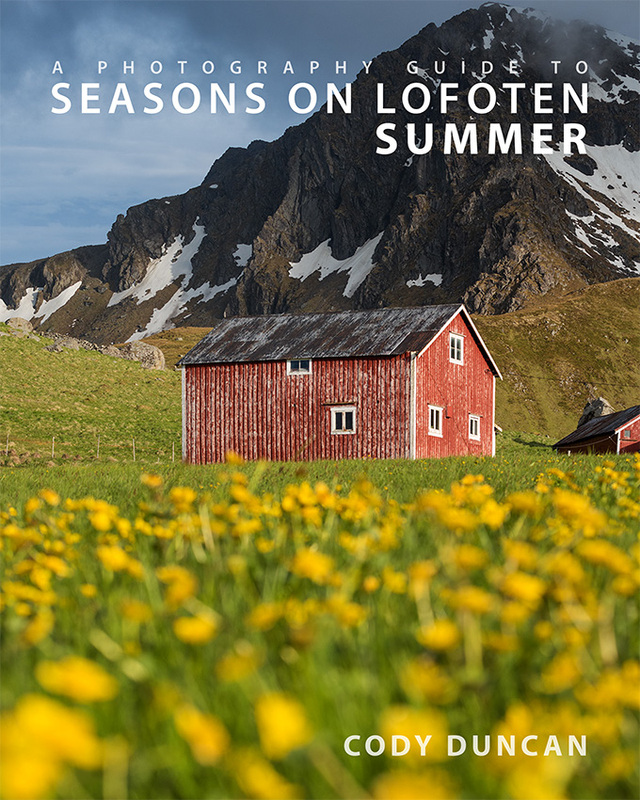 This chapter is about hiking in Sweden, camping, and a basic overview of using the STF mountain huts. Information for planning your journey to northern Sweden, including how to get to Ammarnäs and Hemavan, weather, and an overview of the hiking season. 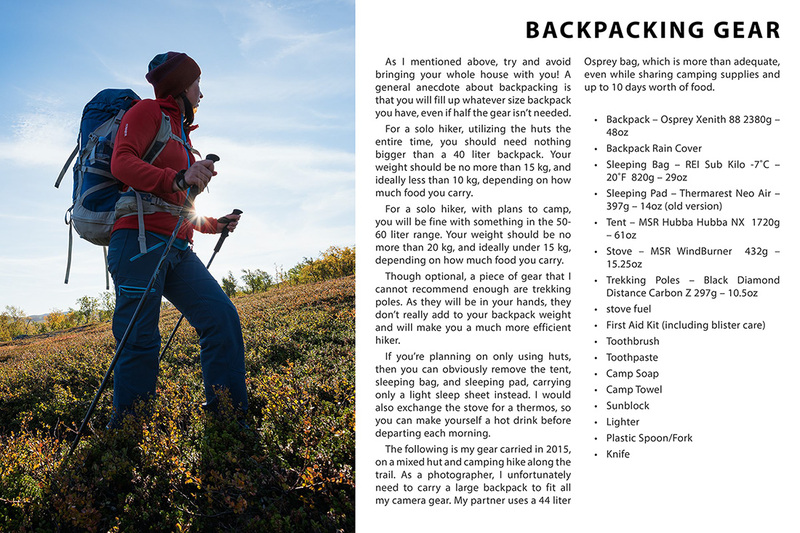 A basic guide to the supplies and clothing you will need to safely hike in the mountains of northern Sweden. 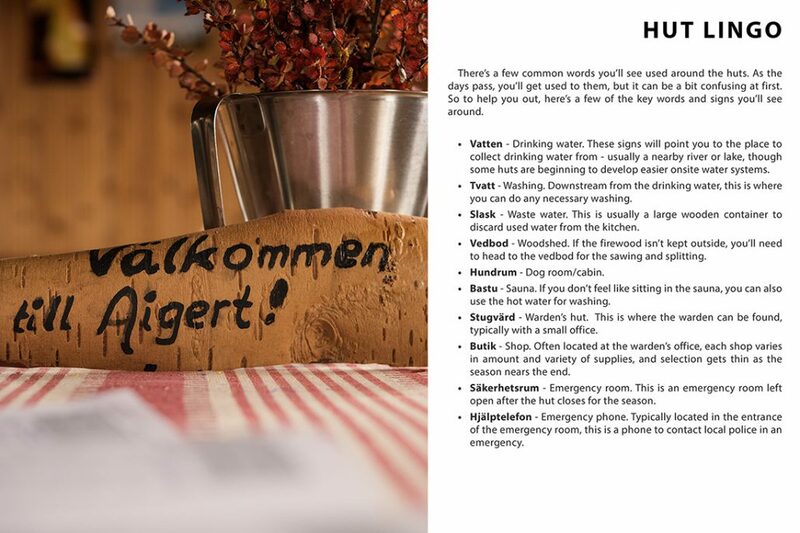 Day to day trail guide for hiking the 79 kilometers between Ammarnäs and Hemavan. While I think this ebook is perhaps the next best thing to having your own personal travel guide, it’s not up for me to decide. If, in the unlikely situation, you are not 100% satisfied with this product, I offer a 30 day money back guarantee. No questions asked.